Call Gayle Eddie at 604.649.2036 or Ralph Maglieri at Remax today at 604.961.9255 for a sneak peak at these boutique luxury North Vancouver homes for sale or click here for the GreenView Online Brochure. Offered at $849,000. BuiltGREEN and LEED Certified Homes in the Vancouver real estate market are few and far between. 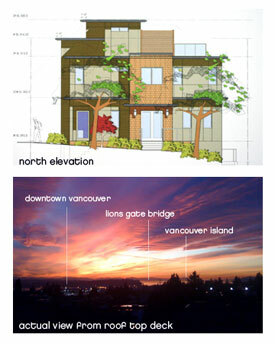 However, there is a team of architects (world renowned Kent Halex), designers and builders on the North Shore property market who have finally stepped up to the plate and designed a spectacular new pre-sale Built GREEN North Vancouver townhome development in Central Lonsdale. Welcome to the LEED and Built GREEN Vancouver homes for sale at the North Vancouver GreenView on 17th in Central Lonsdale real estate market. Not only are these North Shore homes able to get LEED Certification if registered and BuiltGREEN status very easily, but the GreenView North Vancouver townhomes for sale are certainly a luxury development catered to those who appreciate the finer things in life. Meticulous attention to detail, millwork, luxury finishes and fixtures, spacious and functional floorplans, views, healthy living spaces and maintenance free living is what these pre-sale Central Lonsdale Built GREEN Vancouver homes for sale at GreenView on 17th Townhomes provide each and every homeowner. But wait… the GreenView North Vancouver Built GREEN development is a triplex, meaning that there are only three eco-friendly homes for sale in this new project. Healthy living spaces and eco-friendly design and construction are trademarks of these GreenView North Shore homes for sale that are environmentally friendly in every way leading to a healthier lifestyle and a happier one too. These eco-friendly homes at North Vancouver Built GREEN townhomes on West 17th Street are just two blocks away from Central Lonsdale’s many amenities and community conveniences, meaning that you won’t need a car to get around every day. How great is that? In addition, a state of the art heating and cooling system called a geothermal exchange system has been implemented at a great cost to the developer in order to save the environment as well as to save you money short and long term at these eco-friendly Vancouver homes for sale. Welcome home. 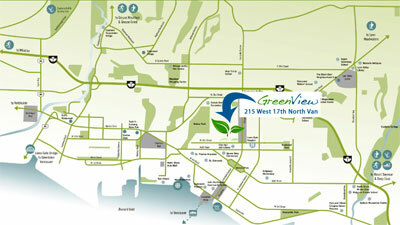 Welcome to GreenView on West 17th Street in Central Lonsdale, North Shore real estate. Are you looking for an eco-friendly Vancouver home for sale? If so, an environmentally friendly North Vancouver real estate development can certainly fit the bill for healthier living spaces and low maintenance lifestyles. Here at the pre-sale North Vancouver GreenView on 17th, these Central Lonsdale eco-friendly Vancouver homes for sale are both environmentally friendly as well as people friendly. You will enjoy a life that provides the ultimate in healthier living, from Energy Star rated appliances, to low-e windows and from a geothermal heating and cooling system to a fresh air interchange system. These Naturally Better homes for sale at the Built GREEN North Vancouver GreenView townhouses can easily be LEED Gold Certified and have BuiltGREEN certification as well, but the builder and developer have decided NOT to apply for these designations as a way of telling homebuyers that healthy eco-friendly Vancouver homes for sale should be the norm, and not be a marketing tool. If you don’t believe us, check out the North Shore eco-friendly homes or sale right now at the GreenView Central Lonsdale West 17th Street townhomes today for a sneak peak of what an environmentally friendly real estate development can provide you in terms of an more active, healthier lifestyle on the North Shore. Here are some spectacular Built GREEN and LEED Certified features of these Vancouver eco-friendly homes for sale in Central Lonsdale: sub metering for each triplex townhome for individual control of electrical hot water, electricity and geothermal heating and cooling. Also, the environmentally friendly Vancouver homes for sale at healthy living GreenView on 17th will offer an allowance for Energy Star appliances that reduce electricity use including a front loading washer and dryer, fridge and dishwasher of your choice. The microwave oven provides an efficient alternative to conventional oven cooking and the high pressure, low-flow showerheads reduce gas consumption from domestic hot water without sacrificing bathing comforts. The BuiltGREEN healthy living North Vancouver triplex also features thermally separated aluminum window frames with Low-E argon filled double paned sealed glazing units, featuring operable awning wnidows to provide energy savings and increased comfort to homeowners at the pre-sale GreenView on 17th North Vancouver townhomes. The healthy living built GREEN Vancouver eco-friendly homes or sale at GreenView townhouses will also feature high efficiency boilers offering 85 per cent efficiency or better to reduce gas consumption and utility costs in addition to a heat recovery or exhaust air to reduce in suite heating and cooling costs. There are plenty of large windows allowing plenty of light into these eco-friendly Vancouver homes, bypassing the need to turn on lights during the day. The healthier lifestyle and environmentally friendly home features here at the Built GREEN Vancouver eco-friendly GreenView North Shore townhomes for sale are carried through to an air interchange system that pumps in fresh air and takes out stale air every 20 minutes so you are always breathing healthy and clean air. Carpets are certified by the Carpet and Rug Institute’s Green Label Indoor Air Quality Test BuiltGREEN Program ensuring low emissions for healthier living. IN addition, these eco-friendly North Vancouver homes for sale at GreenView Central Lonsdale townhomes also feature interior latex-based paints, adhesives and sealants certified by the Environmental Choice BuiltGREEN Program to ensure low emissions of volatile organic compounds, also called VOCs. 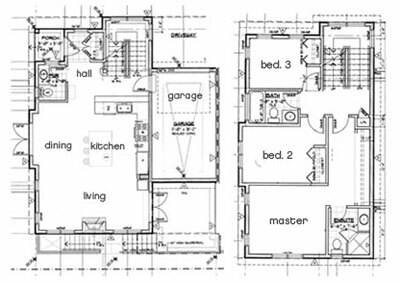 The Built GREEN Indoor Air Quality management plan during and after construction of these new North Vancouver eco-friendly homes for sale ensure healthy living space when you move in and for the life of the building. Hard surface flooring such as the premium hardwood plank floors allow for easy maintenance to remove dust and allergens and reduce off-gassing, leading to a healthier life at home. In term of water efficiency at these eco-friendly Vancouver Built GREEN townhomes at GreenView on 17th in Central Lonsdale North Vancouver real estate market, you will be getting low flow, high pressure showerheads and faucets, dual flush water efficient toilets, Front Loading washer/dryer of your choice and water efficient landscaping to reduce amount of water used for the self irrigation system. There will be a recycling room on site as well. In addition, the central location of these Built GREEN eco-friendly Vancouver homes is ideal for home owners who do not want to drive to the grocery stores, library, banks, conveniences, shopping, dining and other amenities that are just steps away from GreenView on 17th. Lastly, a more comfortable and healthier home is what you will get at GreenView Built Green North Shore homes for sale and with moist air being exhausted outside while fresh air is continuously delivered into your home, you will get a fresher and more healthy living environment through the state of the art heat recovery ventilation system. Every 20 minutes, you will be breathing fresh purified air, leading to a healthier North Vancouver home experience here at the eco-friendly luxury Vancouver homes for sale at GreenView Central Lonsdale. Luxury Homes for sale in North Vancouver are just around the corner. The occupancy date for these new GreenView on 17th triplex townhomes are scheduled for April 1st. For an affordable $849,000, you can own a Built GREEN Vancouver home with all the bells and whistles you have ever dreamed about having in a custom house. Complete with three bedrooms and 3.5 bathrooms (powder room on the main floor), the Built GREEN luxury North Vancouver homes for sale provide 2700 square feet of luxurious living space inside plus over 500 square feet of outdoor entertainment space that includes a fabulous rooftop terrace lounge that provides 270 degree unobstructed views of the North Shore Mountains, Lion’s Gate Bridge, Vancouver Harbour and downtown Vancouver. Four levels of finished space that includes three large bedrooms, a media room, workshop and games room plus walk-out basement is what homebuyer get for these luxury North Vancouver homes that are Built GREEN and could be LEED Gold Certified any day. Modern luxury, healthy living and green innovation by architect Kent Halex has produced one of the most luxury and unique boutique North Vancouver homes in the North Shore real estate market. These clean lines, west-coast craftsman style exterior façade with splashed stucco and paneling designed by Kent Halex provides a contemporary design that showcases the incredible Central Lonsdale location of GreenView on 17th townhomes. The features inside these Built GREEN and eco-friendly boutique North Vancouver homes for sale include designer paint, fully installed security system with motion door and windows sensors in addition to a roughed in ducted vacuum system. Other features of these boutique luxury North Vancouver homes at GreenView Townhomes in Central Lonsdale include designer recessed halogen lighting, custom kitchen with stainless steel, granite and under mount sink. As for finished flooring these GreenView eco-friendly BuiltGREEN North Vancouver boutique homes will have premium solid hardwood flooring throughout the kitchen, main floor living, landings as well as the roof top lounge area as well as 100% real wool premium carpet with half inch underlay in the basement and bedrooms. As explained above, the Built GREEN revolution is now here a the boutique North Vancouver homes for sale with a geothermal heating and cooling system. What this means is that the boutique North Vancouver luxury home is heated and cooled by the earth’s energy. During the winter, the ground is warmer than your home, so the heat is exchanged through the geothermal system to generate heat for you. The opposite happens during the summer. This luxury North Vancouver home features a geothermal heating and cooling system that heats hot water up to 130 degrees so your running costs are minimal compared to traditional systems. Just 20 minutes from downtown Vancouver, these Central Lonsdale eco-friendly boutique North Vancouver GreenView townhomes are certainly the top of the line luxury residences that you can purchase new. 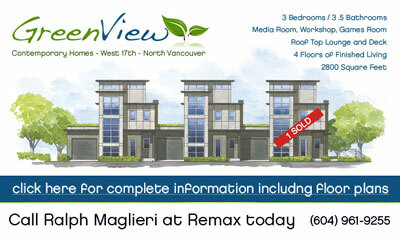 As a triplex and with 1 sold already, there are only 2 opportunities remaining here at the GreenView on 17th eco-friendly Built GREEN Vancouver homes for sale. With four incredible levels of finished living space, these healthy eco-friendly Vancouver homes for sale provide adequate space for growing families, retirees or couples looking for lots of living and storage space. The Main Floor of the North Shore GreenView Triplex Townhomes will feature a private entry, private garage (attached), large outdoor patio, gas fireplace and main floor powder room. In addition, the main floor of the GreenView triplex on West 17th Street North Vancouver will have solid hardwood floorings, and gourmet customized kitchen with island, granite and stainless finishes. The second floor of the luxury North Shore homes at GreenView Built GREEN triplex will have the master bedroom with a huge closet and ensuite shower. In addition, there are two additional large bedrooms plus a second bedroom with deep soaker tub. The pre-sale luxury North Shore homes at eco-friendly GreenView North Vancouver townhomes for sale will also feature premium carpeting with a comfortable ½ inch underlay in addition to customized recessed lighting throughout. The second floor also features a large walk through dressing room. The basement of these boutique North shore homes for sale is where the entertainment starts. With a full walk out basement, private bathroom with large walk-in shower, a workshop, media room plus a bonus room for extra storage, you just can’t go wrong with the amount of space you will have to entertain or relax in your own eco-friendly North Shore Built GREEN home. In addition, you will have a full sized laundry room with sink and cabinetry. The top floor is the most impressive of these Built GREEN luxury North Shore homes for sale and features a rooftop lounge area with a wet bar and granite bench top. In addition, there is a huge rooftop deck which features unparalleled 270 degree views from Burnaby to downtown Vancouver and to the North Shore Mountains. These GreenView luxury North Shore homes for sale will also feature self irrigation system, professional landscaping, mood lighting on the exterior facades in addition to a parking pad. Also, an incredible Built GREEN luxury North Shore home feature are the open staircases with wide plank hardwood steps. These allow ample natural light into every floor. Offered at $849,000 and over 2700 sq ft in size, these Built GREEN eco-friendly luxury North Shore homes for sale won’t last long!